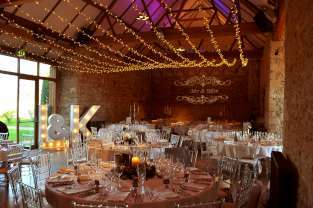 Another trip to one of our regular venues, the fabulous Notley Abbey. 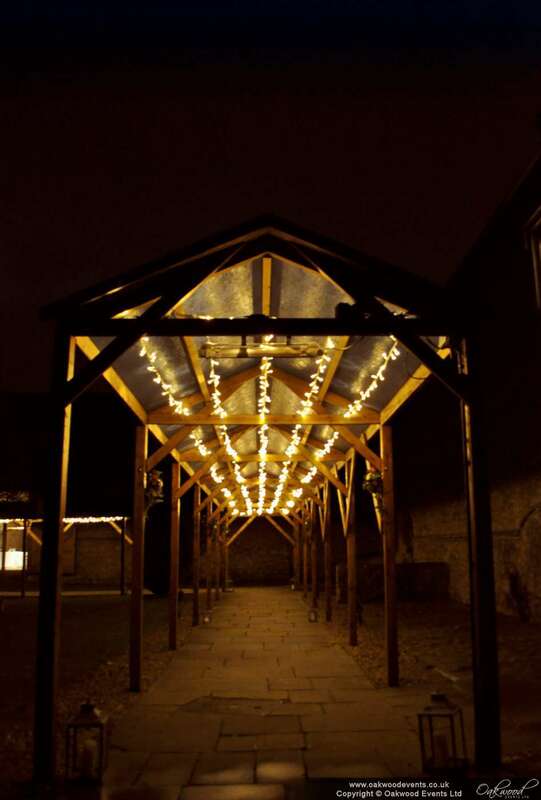 This time we installed a large single-swag canopy of dimmable, warm-white fairy lights in the Monks Refectory, projected a personalised monogram onto the gorgeous stone wall at the end of the barn and added strands of fairy lights over the rafters of the wooden walkway that runs between the barn and the main house. 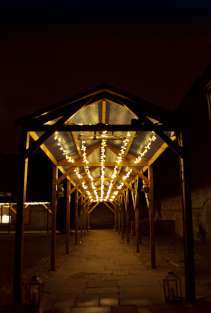 We have several designs of fairy light canopy that work really well at Notley, from simple to super-sparkly. The monogram can be customised in style and can include the couple's names or initials and wedding date.